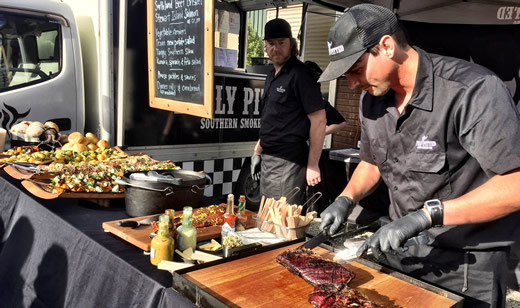 Fully Pitted "Southern Smoked BBQ" specialises in BBQ, American style BBQ. We pair this with the finest produce of southern New Zealand. Our speciality meat is cooked low'n'slow over a wood fire until tender, smoky and delicious. Our pit BBQ hails from the heart of Texas, USA. Whether it be beef brisket, pork ribs or lamb shoulder, they are seasoned in our own spiced rub and slowly smoked over fruit woods for up to 18 hours until tender and juicy. We have a range of fresh zesty salads & sides to compliment the main affair, along with making our own sauces & pickles. We make it a truly unique dinning experience. 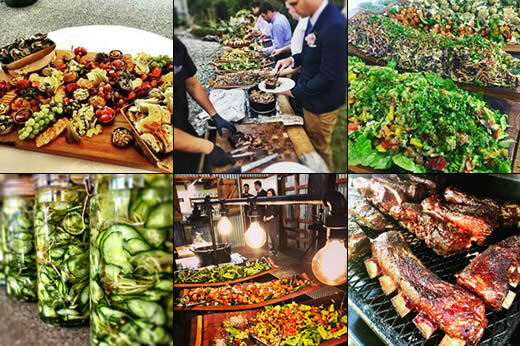 Rustic casual weddings are our speciality, blending all the best BBQ from the States with all the best produce from NZ.